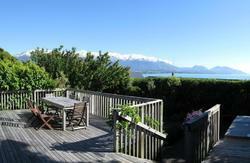 Welcome to Dusky Lodge, Kaikoura, New Zealand. New 1998, Dusky Lodge offers a clean homely environment with natural carved timbers throughout. A great place to relax, unwind and take in the great views and spectacular sunsets from our extensive decks. Enjoy a swim in our heated swimming pool, or just take it easy in the sauna and spa pool. With shared backpackers’ bunk rooms, doubles, twins and ensuite rooms, we cater for all kinds of travellers - whatever your needs or budget. Our new extension upstairs (completed October 2005) comprises 11 deluxe ensuite rooms, offering a superior degree of comfort. Kaikoura thrives on its international reputation as an ecotourism centre, promoting a sustainable relationship with our wildlife and wilderness. 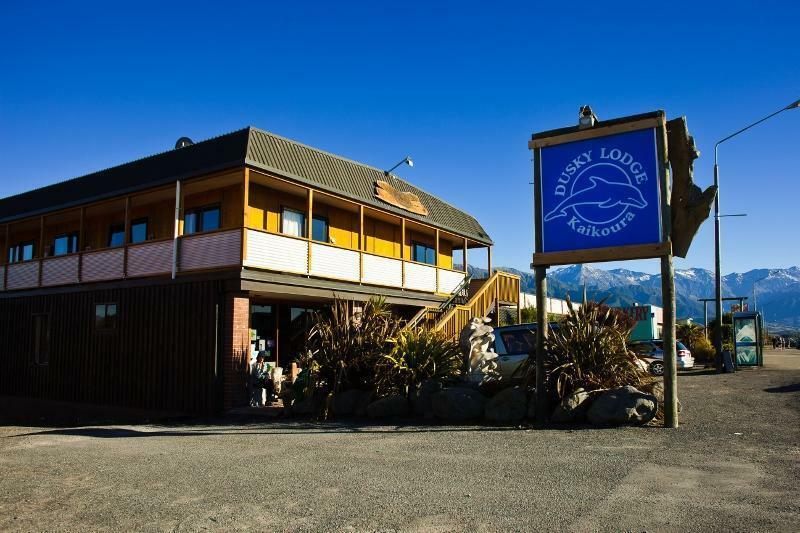 Dusky Lodge is proud to support Kaikoura’s world famous Zero Waste Policy. We recycle all our plastic, glass, cans and compost and try to minimize our impact on our beautiful environs by using solar power wherever possible. Situated seven minutes' walk from the town centre, close to Whalewatch, the train station and the supermarket. 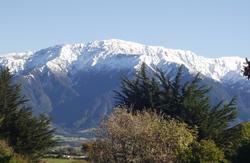 Free pick-up within Kaikoura can be arranged. If you're interested in availing of this service, please contact us after booking, before the day of your arrival.